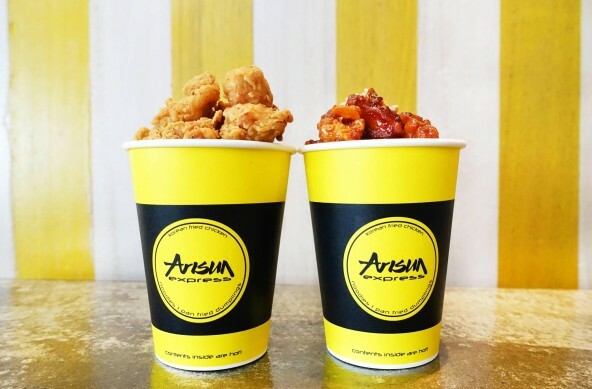 Last week I had the pleasure of checking out Arisun Express and Azoto which recently opened up in World Square, who could honestly resist the temptation of an eatery that specialises in both crispy fried chicken and ice cream in one convenient location? I sure wouldn’t be able to stop myself. The entrees, specifically the meatballs we found were quite nice but a little small for serving size, though perhaps that was because we were sharing between a large group. 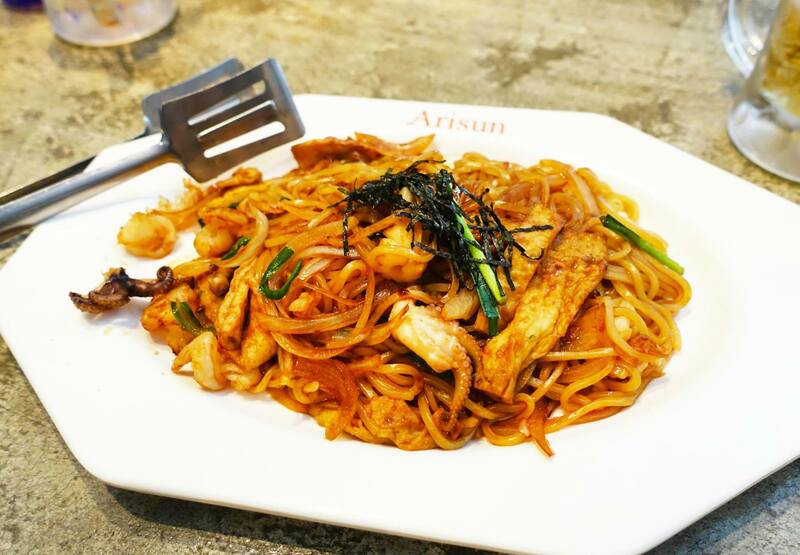 These two particular dishes were more reminiscent of Chinese food but that makes sense because Arisun is a combination of both Korean and Chinese cuisines and the dishes tend to be a mix of both. No opinion for this particular dish because I’m not a big fan of seafood and didn’t try much of it, from what I gathered it was quite a nice dish overall and most people enjoyed it. 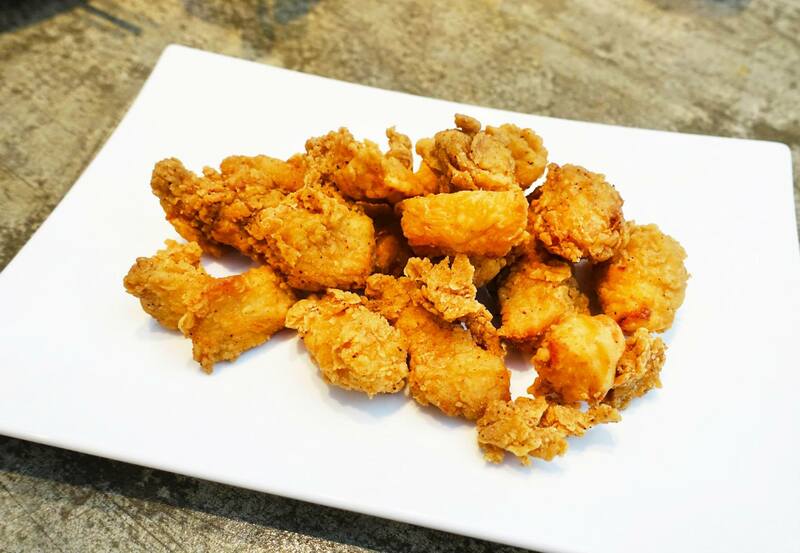 The infamous Korean fried chicken is what most people head to Arisun to order and for good reason too. 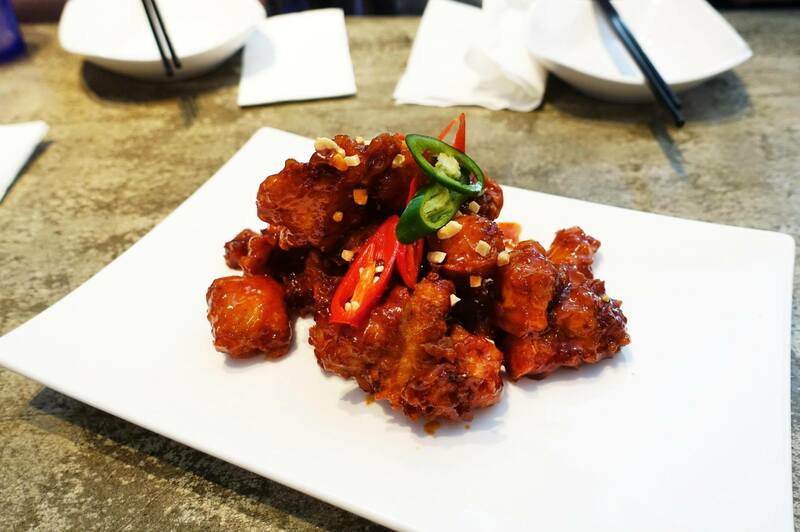 The seriously crispy, tender and juicy morsels of fried chicken both chilli and non chilli are a huge hit with everyone in the room. 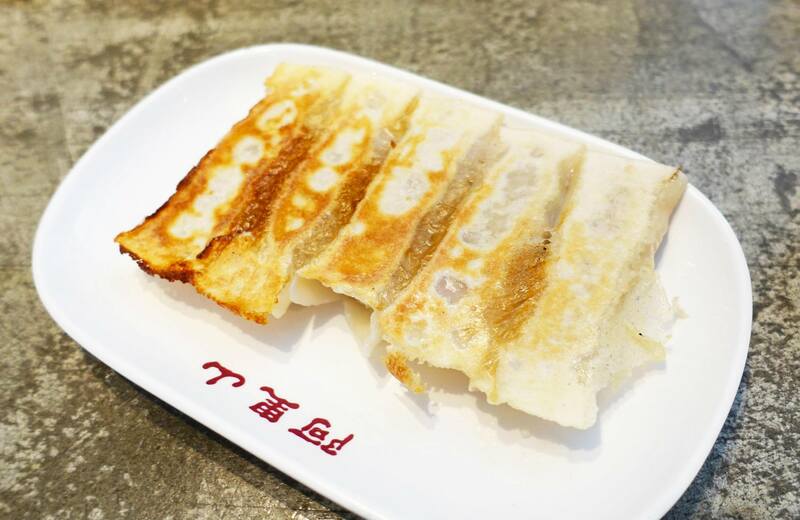 It’s especially convenient that they’re served boneless, easily my favourite dish. The easiest way to describe this beer would be to compare it with a slurpee, it’s pretty much a beer slurpee. Quite literally. 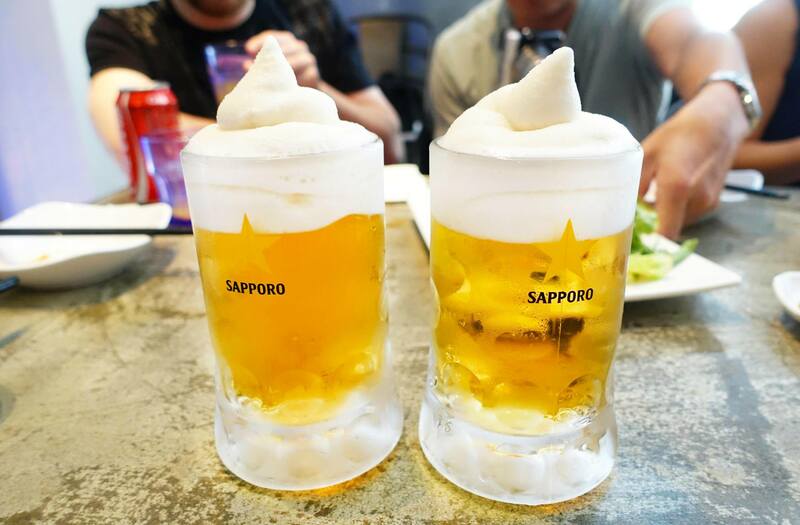 The icy froth at the top doesn’t have much of a taste itself but it keeps the beer cold for up to 30 minutes in the glass before melting away into more beer. 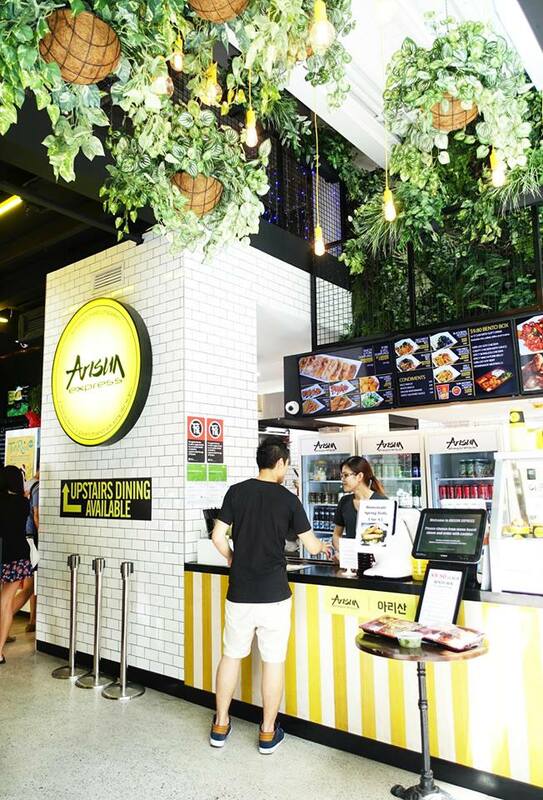 I certainly enjoyed my meal at Arisun but I would have to note that the fried chicken was a stand out dish as expected. The restaurant is open until very late at night and they even have a takeaway section downstairs with cups of fried chicken to walk away with! 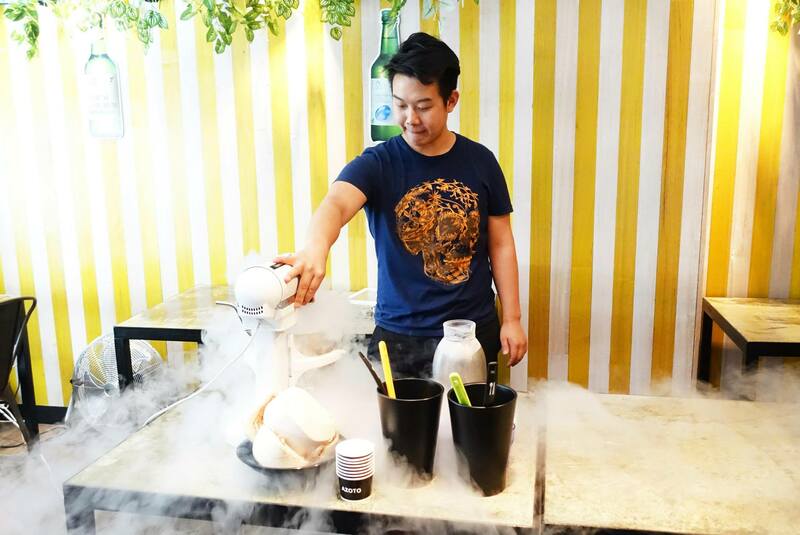 Azoto is a brand new liquid nitrogen ice cream joint directly linked to Arisun Express next door. I’m surprised that it took this long for a second liquid nitrogen ice cream joint to open up in Sydney after N2 but I’m certainly not complaining because more choice is always welcome. 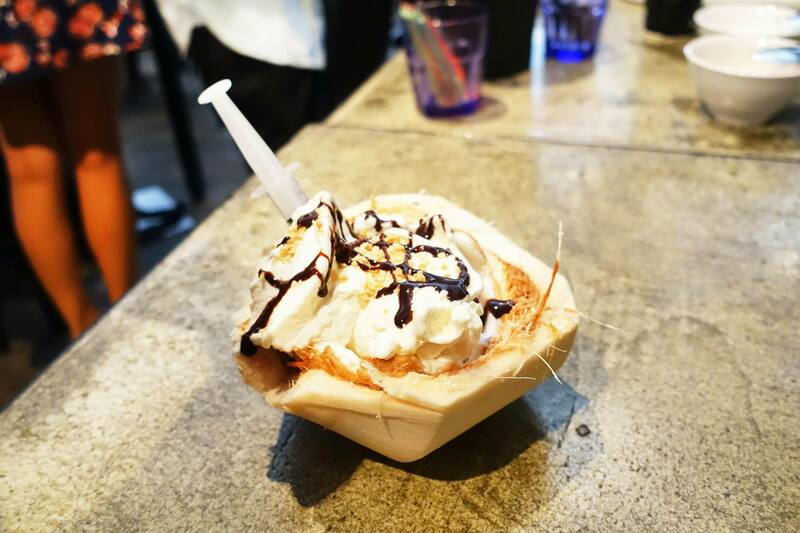 I love that this particular variation is served in a half coconut shell, the use of fresh ingredients definitely makes the ice cream stand out. A few spoonfuls of the great tasting coconut ice cream was enough to convince me that it could certainly stand its ground against the likes of Messina and N2. It’s hard to pick a favourite when the two flavours I tried happen to be both coconut and green tea. 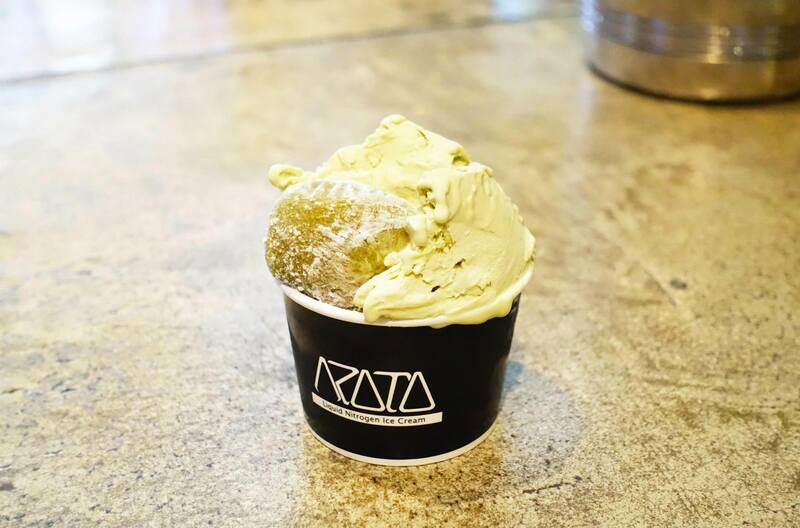 The green tea variation is amazingly smooth and has an enjoyable but strong green tea taste, this may come as a shock to some who don’t expect the taste as other places tend to over sweeten the green tea flavours. 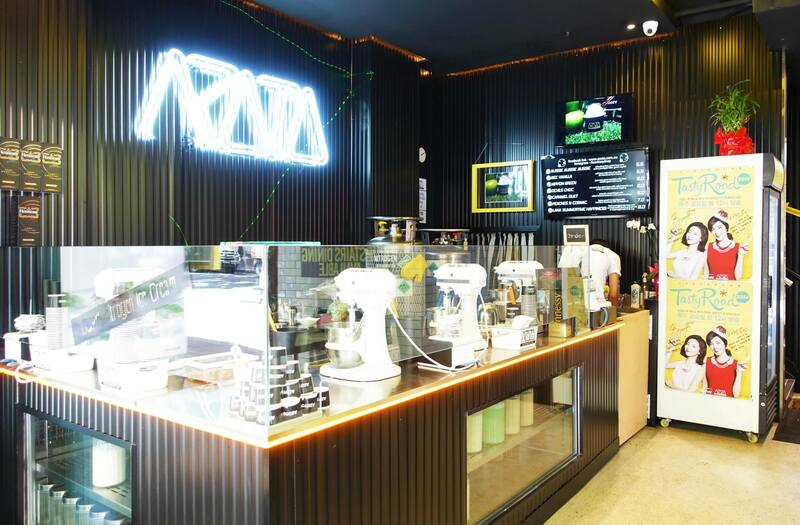 It’s great to see a different take on the whole liquid nitrogen ice cream craze, the theme here is more of a trendy modern sleek ice cream parlour. It’s very clean cut and simple which I quite like and the flavours are sure to be crowd pleasers as they’re relatively standard. Mr C dined as a guest of Arisun Express, Azoto and The PR Partnership. 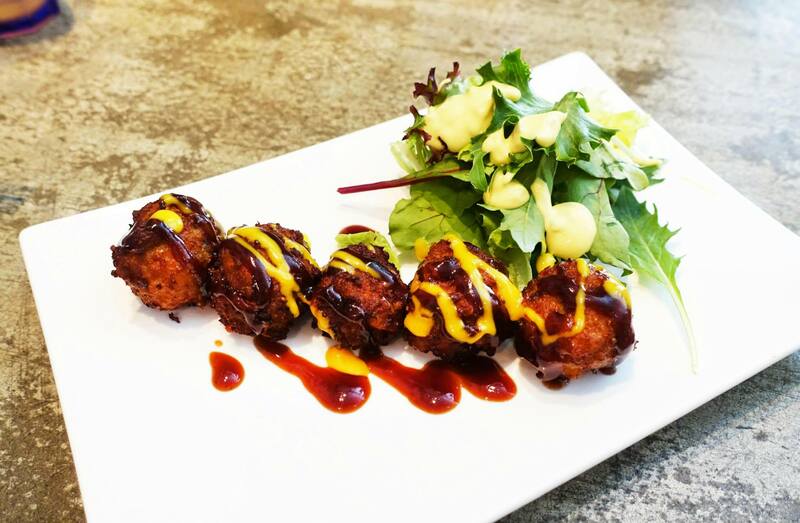 Oooh, love the fact that they serve it in a coconut shell – how different! And the chicken at Arisun is the best! fried chook! my fav! i love the matcha one from azoto! Frozen beer and BONELESS fried chicken? Sign me up!! I really want to try the Bounty & Co. And how much fun is the frozen beer!